Founded in 2002, Glasshouse is the leading provider of high-end custom glass fabrication for residential and commercial projects across the DFW Metroplex and Central Texas. While many of our competitors specialize in art glass, architectural glass or bathroom glass, we offer an array of capabilities for true “one-stop” glass design and fabrication. Our team offers decades of collective experience in all types of glass. From estimation and design consultation to ordering, fabrication and installation, we have an extensive knowledge base that ensures your project will be executed beautifully, on time and on budget. Glasshouse is an award-winning glass company dedicated to rethinking, repurposing and reimagining glass as a building and design material. Serving with designers, architects and builders, we are redefining the fabrication of residential and commercial glass. 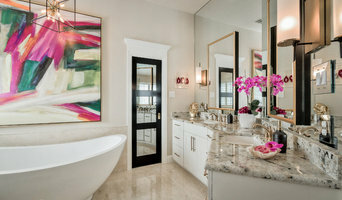 Natural Selections Design Center is the premiere turnkey interior design solution in the Dallas Fort Worth Metroplex. Our Services include: > Design Consultation > Stone, Tile, Hardwood, & Carpet Supply > Plumbing & Hardware Supply > Plumbing & Build-out Services > Complete Installation Services for New Builds and Remodels Natural Selections Design Center is the "whole solution." We focus on providing the best in every aspect of the interior remodeling process. Designed to be a catalyst of inspiration, our showroom alone is worth the trip! Green Valley Beam & Truss Co.
We specialize in designing and creating beautiful timber wood trusses and beams, mantels, shutters, etc. to accent your home or place of business. Our craftsmen create our timber truss systems using time-tested mortise and tenon joinery techniques. We believe this almost forgotten craft not only makes the best looking truss but is also one of the best truss construction methods that will create a long-lasting structure of strength and beauty. With over 100 years of combined experience in the construction industry, we are able to provide our customers with expert advice concerning design and installation. We would be happy to discuss your plans and work with you to design a project that meets your needs and fits your budget. A Wildlife Pro is a full-service wildlife control company serving the Dallas, Plano, and surrounding areas. We specialize in urban and suburban wildlife removal and damage management for both residential and commercial customers and handle nearly all aspects of wildlife control. We are committed to resolve conflicts between people and wildlife in a humane and professional manner. Potter Art Metal Studios is a custom metalwork and lighting studio, creating chandeliers, fandeliers, doors, table bases, drive gates, lanterns and other pieces hand crafted from wrought iron, copper, brass, aluminum, and bronze. I am your custom metalwork and lighting designer, Izabela Wojcik, alongside the owner of Potter Art Metal Studios owner, Richard Potter. We hope to see you inside our studio, located next to the Dallas Design District soon. We strive to be the best in our respective field. We combine the latest technology along with design concepts that make your outdoor living space warm, inviting and the envy of your neighbors. Our outdoor kitchens are usually completed in 10 days or less once construction begins and are very easily modified if you ever decide to expand or enlarge. We design and install custom fire features from top of the line fire walls to built in bar top burners that the entire family can enjoy. Custom cedar pergolas and complete covered patio covers is always a great home addition that creates protection from the elements and increases your property value at the same time. Our team specializes in Turkish Travertine tile and paver installation. Travertine is the cleanest natural stone on earth and doesn't allow algae or fungal growth. Travertine also stays cool to the touch when DFW reaches those high summer temperatures. In need of an exterior audio/video system? Let us design it for you. 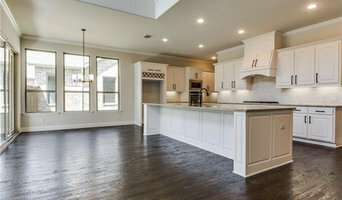 As they juggle your demands and the work of home builders, the Dallas, TX building project manager often benefits from a construction industry background. This may also assist you when you need to hire additional contractors. Look in the Professionals section of our website under Dallas, TX specialty contractors, then select the nearest metro area for a contractor. 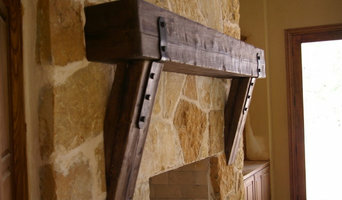 You can also look through Texas photos of completed projects to see how a contractor might approach design challenges.